HANOVER — Pacing the eight basketball courts at the University Sports Complex on Saturday, Mike Slonina was a man on a mission. 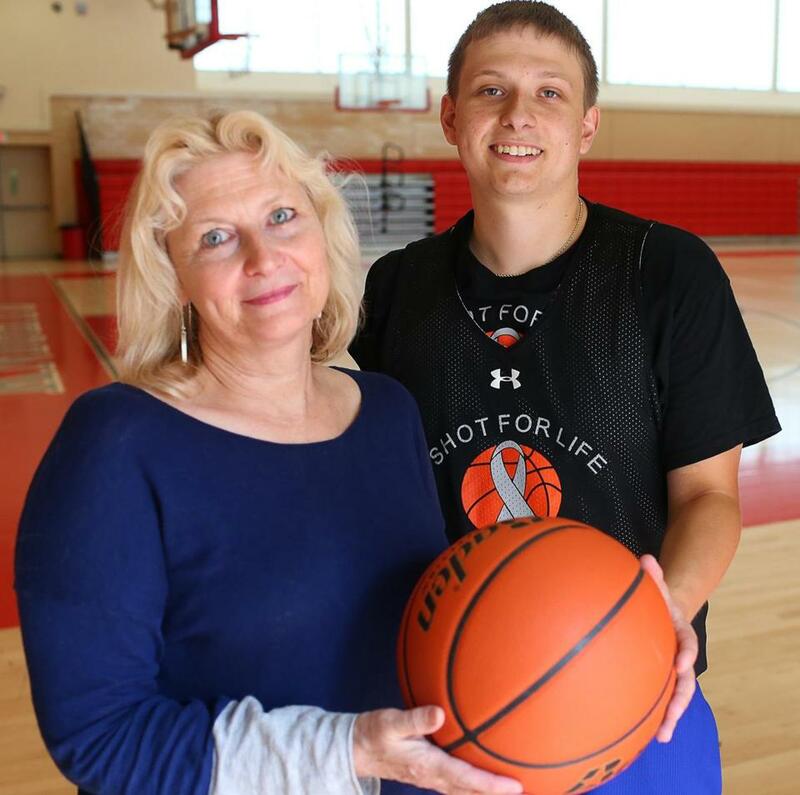 The CEO of “A Shot for Life” was overseeing the fourth annual “A Shot For Life Challenge,” a fund-raising competition where the winners are named “The Best Shooter in Massachusetts,” with proceeds going to the Massachusetts General Hospital. “I’m super nervous,” the 23-year old confided with a smile, just minutes before the opening competition. Picked from a crop of high school basketball players from around the region, 16 male shooters and 15 female shooters were chosen to assemble on the courts. Part fund-raiser, part skills competition, all gathered to help raise money for brain cancer research. “This charity itself has actually provided a lot of the seed money for some of our more productive findings over the last couple of years,” said Dr. William Curry, a neurosurgeon at Mass. General. For the third year in a row, it was Walpole senior Kelly Fogarty who won “Best Shooter,” shooting 88.5 percent across a two-hour marathon, a mix of free throws, mid-range jumpers, and shots beyond the arc. Hanover’s Hayley Wardwell (85.8 percent) and Marissa Tomaino (81.4) from the Rivers School finished in the top three. Fogarty didn’t change much of her game entering Saturday’s competition. The only tactic she did change? A better fund-raising game this time around. On the boys’ side, it was Kellan Grady from the Northfield Mount Hermon School who earned the best shooter title, firing with 82.7 percent accuracy. Grady edged Vermont Academy’s Matt Hanna (82.0 percent) and Azar Swain (81.6) from Rivers. With about $30,000 raised Saturday, the four-year total for the challenge passed the $100,000 mark. Slonina, a 2011 graduate of Catholic Memorial, started “A Shot for Life” that same year. When his mother was diagnosed with brain cancer in 2010, he organized the first event for the program, shooting for 24 consecutive hours all over the floor at the CM gymnasium in April of 2011. Shortly before the April event, Slonina found out that his mother, Betsy Cullen, did not have a brain tumor, her prognosis greatly improved. Slonina never faltered with “A Shot for Life,” as the program has continued its exponential growth.